Take advantage of these powerful Smart Security 5 features and create your own digital safe-zone. Cloud-Enhanced Whitelisting (Cloud-Powered Reputation technology) enables faster, more accurate malware detection. Antispam blocks unwanted emails and images. Intelligent Firewall defends against remote attacks with technology that adapts. Parental Controls restrict access to websites by specific category or individual URL. 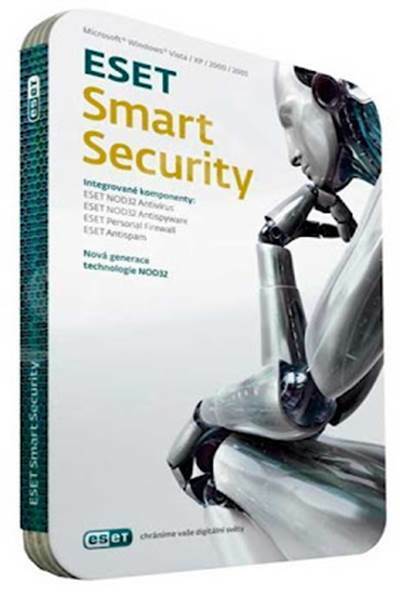 ESET’s smart ThreatSense® technology offers multiple layers of protection with precise identification of even never-seen-before forms of malware. ESET Smart Security 5 is lightning fast and operates smoothly in the background, so you won’t even notice it’s there. From its compact and intuitive user interface to its minimal use of alerts, you’ll be up and running in a snap without undue interruptions. Security updates are discreetly sent to your computer, ensuring your defenses are always at their strongest.